Yes this is a BRAND NEW set still in the factory Wrap! The Manufacturer's Suggested Retail Price for this item is $149.95 ….YOUR PRICE IS MUCH BETTER!! This Beginners set of golf clubs from AFFINITY ORLIMAR GOLF features OVERSIZED GRAPHITE SHAFT WOODS with GRAVITY SOLES and CAVITY BACK IRONS! This fine set of IRONS feature "TRUE TEMPER" LITE FLEX STAINLESS STEEL shafts that are PERFECT for GIRLS!! Careful design makes the "GTX" AFFINITY GIRL'S EDITION a great set for the beginner and WILL PROVIDE PLENTY OF ROOM TO GROW YOUR GAME. The oversize clubs are great confidence builders and the CAVITY back PERIMETER weighted Irons provide excellent forgiveness on miss-hit shots. These clubs were tastefully designed with a young Woman's swing technique in mind and will provide many years of enjoyable golf! We have had excellent feedback for Knight clubs for many years!! We have selected this set configuration because experience has shown us that these are the easiest clubs to learn with, and that makes the game even more FUN!! And the best part is that you can always add more clubs to your set whenever you are ready! It really is the way to go, whether it's a first set or you are upgrading from a mix and match set. GIRL'S SPECIAL EDITION 5 WOOD (DRIVER/FAIRWAY) With Over sized head for maximum distance and larger "sweet spot"
SAND WEDGE To MAXIMIZE your SHORT GAME around the Greens! "TRUE TEMPER" - the NUMBER ONE SHAFT IN GOLF - on all IRONS! 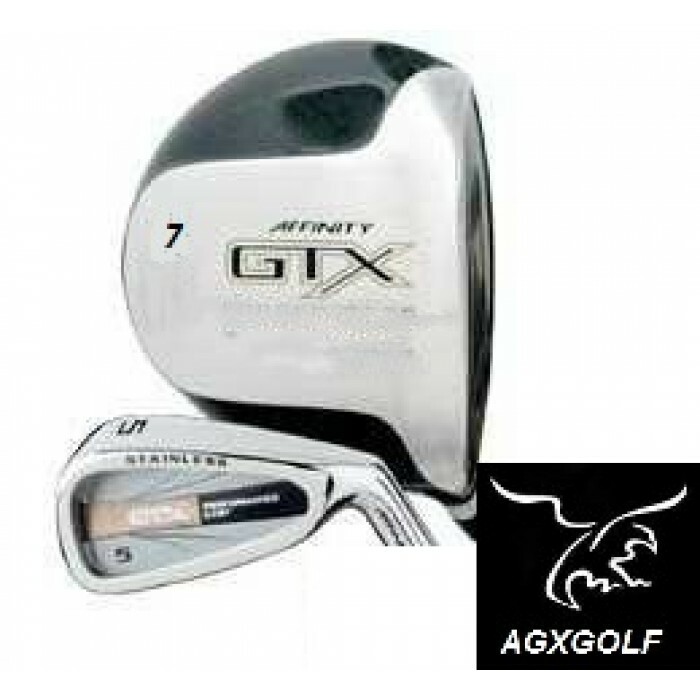 The important thing to keep in mind is that the "GTX" AFFINITY GIRL'S EDITION set is engineered for Young Golfers who are learning the game but are to big for a "Junior" set. It makes it easier for them to learn to hit good shots. It also allows them to start getting the feel of an adult set This means that your Young Golfer will have more fun and FEEL MUCH BETTER about herself!! You may not get this benefit from older "hand me down" Adult sets. AFFINITY/ORLIMAR GOLF is headquartered right here in Michigan and they've been around for a long time (even longer than we have)! We've been playing Knight Clubs since we were kids and have been nothing but satisfied and we GUARANTEE that you will be too!!
. We accept PAYPAL, VISA, MASTERCARD, DISCOVER and AMERICAN EXPRESS on our SECURE network! 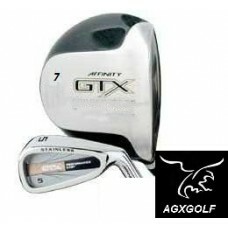 golf clubs, golf balls, golf bags, golf practice nets, golf gifts, and more!